Founder and Presiding Bishop of Winner’s Chapel worldwide, Bishop David Oyedepo has reportedly opened his mega city Housing Project named “Canaan City”. 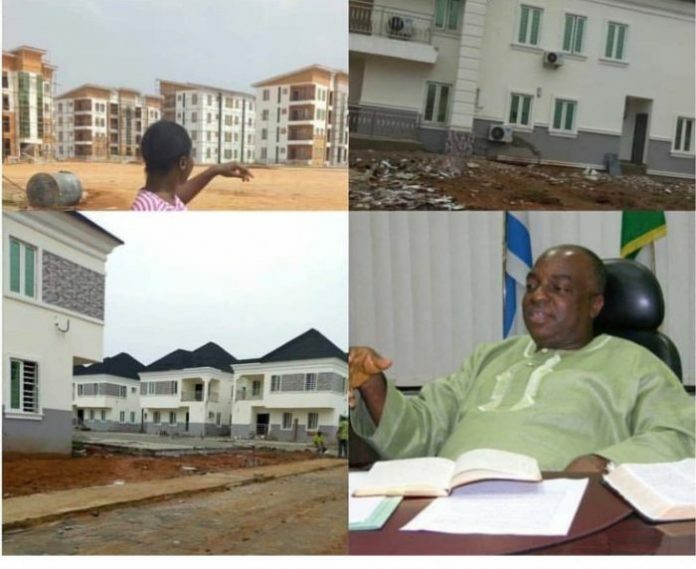 Report gathered by NAIJASHOWBIZ indicates that the mega project is located at Iyana-Lesi, Ota area of Ogun State and is built mostly for members’ habitation. However it was learnt that they will have to cough out some millions of naira to benefit from the massive project. The City has self-contain, two-bedroom, three-bedroom, duplex apartments for sale to members. Reacting to this, Freeze mocked Oyedepo for such a massive project, in the midst of large number of his congregation being poor. “Lets congratulate the bishop and the members of his church (a number of whom are poor), for making his dream come true,” he said on his Twitter page. Contact Editor using editor@skytrendnews.com or call direct 0808 360 9209.